LG has moved to clarify reports that it plans to cease making handsets bearing the Windows Phone operating system. The Korean manufacturer, on somewhat of an upswing of late following a tough couple of years, says it is not giving up on Windows Phone, but plans only to focus on Android handsets for the time being. The company says it wants to meet the much greater demand for Android devices, before it revisits Microsoft's OS at some point in the future. An LG spokesperson said: "No, we are not giving up on Windows Phone. "Although we don't have another Windows device in the pipeline at this moment, that is simply because demand for Android devices is so strong." "We've maintained since the beginning that LG will support whatever operating system consumers want but at the moment, our priority is to get our Android devices to a level where we feel we've covered all the bases, to use an American analogy," the representative added. 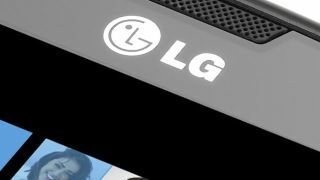 Reports earlier this week had claimed that LG planned to "take a step back" and although, strictly speaking, that's true it's not the apocalyptic split between LG and Microsoft many had envisioned. Either way, it doesn't seem like LG will be back on the Windows Phone bandwagon until Apollo arrives later this year.